This is my map of Northern Israel showing the route Jacob-Israel took when coming back from Haran to Israel, particularly the possible site of his meeting with Esau, his twin brother. 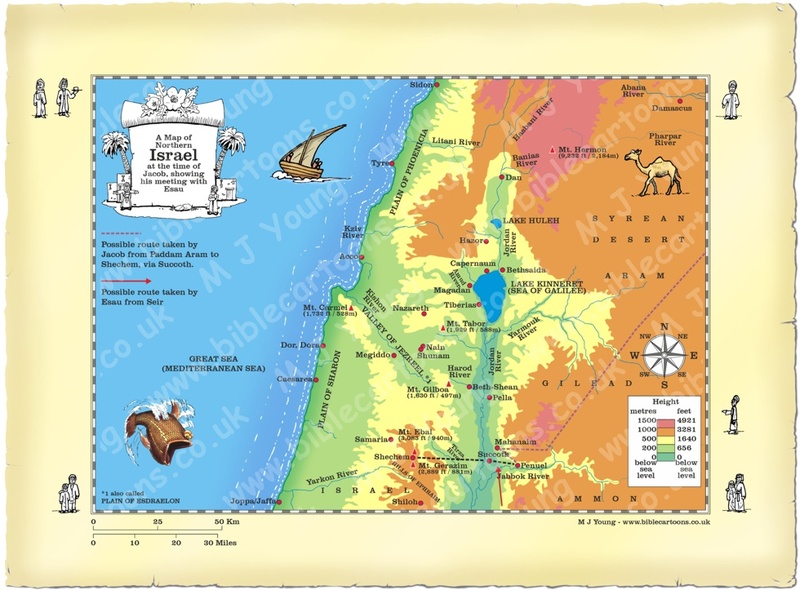 According to The Chronological Life Application Study Bible, Jacob journeyed to Haran around 1929 B.C. So Jacob and Esau’s meeting must have been around 1900 B.C.